It’s so easy to make mistakes. Innocent mistakes require more time and frustration to track down and correct the discrepancy. Deliberate “mistakes” enable cash to simply wander off into the wrong hands. Although retailers report far fewer cash transactions than in the past, thanks to the prevalence of cards and the emergence of mobile payment apps, customers are still using paper to pay. And that means you still have to handle the stuff. So, how can you protect yourself from cash-related costs? Understanding where you’re losing money on cash is the best place to start. But there are specific actions you can take to reduce your exposure here. Relieving yourself and your staff of cash-handling tasks frees up people for more productive, profitable activities such as interacting with customers. In most retail establishments, the highest-paid people — owners and managers — are responsible for handling cash. So, the hourly cost is even higher than if someone else were doing this work. 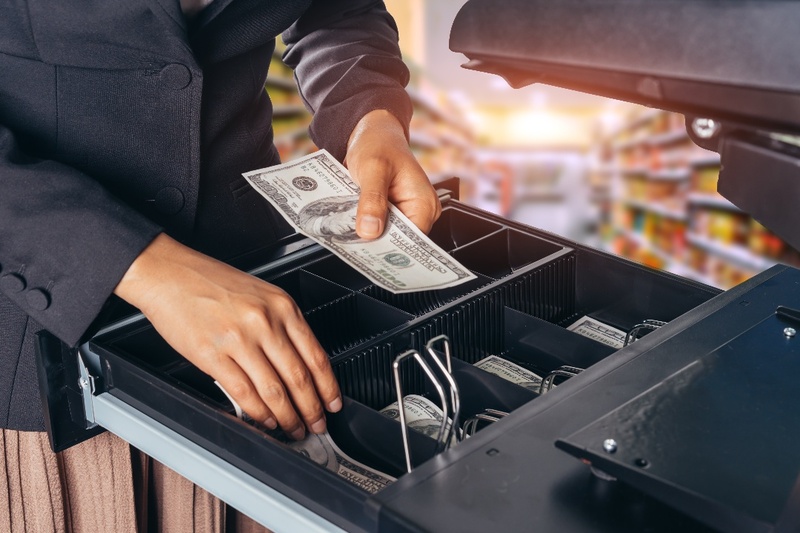 And since, unfortunately, employee theft often accounts for a significant percentage of losses, the less everyone handles cash, the lower your risk. Get a counting machine. It’s faster, reliably accurate, and literally takes cash out of human hands. Train your people to recognize counterfeit bills. Detection pens are inexpensive and readily available at office supply stores, so buy one for every cash wrap/checkout station. If your employees are able to finalize sales on the floor, give them pens to carry. Insist that they check every bill, at least those $20 and higher denomination. Talk to your bank about instituting remote deposit capture (RDC), to reduce risk and time-hassles associated with check payments. With RDC, you just snap a photo with your smartphone, type in the amount, and click to make the deposit. Review your procedures for securing cash once you’ve counted it. No one has time to repeatedly run to the bank, and that can be dangerous after hours. A safe is a smart investment in personal as well as monetary protection. Now that you know how much cash is costing your retail store, it’s time to make a change! The hours you save will go straight to your bottom line and enable you to do more to improve your customers’ in-store experience.